The role “community manager” can mean different things at different companies and the responsibilities for this role can often be conflated across different teams and areas of expertise. But how does this role translate across different continents and cultures? If you enjoy our show, please know that it’s only possible with the generous support of our sponsors: Higher Logic and Structure3C. 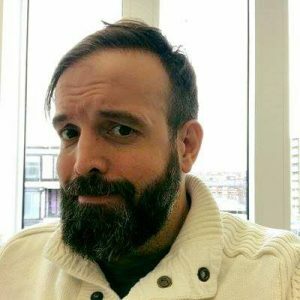 Jean-Yves Lemesle is an experienced community pro and social media marketer, motivated and dedicated to helping and developing relationships with brands and their audiences. He has worked in community for more than a decade, most recently at Houzz. [00:00:04] Announcer: You’re listening to Community Signal, the podcast for online community professionals. Sponsored by Higher Logic, the community platform for community managers, and Structure3C, expert community strategy for large organizations. Tweet with @communitysignal as you listen. Here’s your host, Patrick O’Keefe. [00:00:28] Patrick O’Keefe: Hello, and thank you for listening to Community Signal. We’re talking with Jean-Yves Lemesle. We’re going to learn a whole heck of a lot about community management in France and how the language that we speak impacts our career prospects in this field. We have been sold out on sponsorships here on the show for months now and we’ll be for at least a bit longer. I love our current sponsors and hope they renew, but just in case, we also like to have a waitlist of companies that are seriously interested in connecting with our audience and supporting our show. If you know a company that you think should consider sponsoring Community Signal, or you work for such a company, please contact me or find out more about sponsorships at communitysignal.com/sponsor. These sponsorships allow me to appropriately compensate the team that works on the show and cover our expenses, which enables us to release the highest quality program we can, with the independence to discuss the topics that I want to talk about. On that note, thank you to our supporters on Patreon, including Rachel Medanic, Maggie McGary, and Joseph Ranallo. If you enjoy Community Signal and would like to support the show in this way, please visit communitysignal.com/innercircle for details. Jean-Yves Lemesle is an experienced community pro and social media marketer, motivated and dedicated to helping and developing relationships with brands and their audiences. He has worked in community for more than a decade, most recently at Houzz. Jean-Yves, welcome. [00:01:50] Jean-Yves Lemesle: Hello, Patrick. Welcome and hello to all of your followers. [00:01:55] Patrick: It is so good to have you on the show. We bumped into each other online for quite a while, but I don’t know if you ever spend a need a long period of time speaking. I always love to have those kind of conversations on the show. [00:02:05] Jean-Yves: Yes, in fact, I’ve discovered your work in 2006, that your first book at. I think it was your first book, Managing Online Forums. It was for us, my team, our team, a great, great, great source of learning and a great growth in our community management process. Thank you to have me here. It’s really an honor to be part of the show. [00:02:29] Patrick: It’s awesome. I love to hear that because I think you said before the show that it was one of the first books you read about community. I think it’s just funny how the world works. I feel like the internet was even substantially different then in how we approached community. I don’t know. In ’06, ’07, ‘08, I was running a community, phpBBHacks.com where we had people from around the world. When I wrote a book, I don’t know if I was thinking that I would reach around the world or that I would reach other countries. I think it was more fun for me to see reviews on amazon.fr than on amazon.com in some cases. Someone over there read the book and reviewed it. That was always really amazing and special. Thank you for mentioning that. [00:03:11] Jean-Yves: We were just pretty curious because at the beginning of community management, I got the feeling that the only reliable sources were value-gains industry or tech and hardware industry. That’s the first benchmark and the first online community I’ve just dived in while I was searching for community management resource. I found that your book was really, really oriented into and rooted in real life communities. You spoke of people who shared a real passion, real objective and real motivation, life-changing goals. I was really, really, for me it was really useful because I’ve dealt that type of community and not the tech and hardware community. It was really, really reliable works with lots and lots of experience and great, great detail. I was just really…just follow you since that day. I’m really, really glad to speak to you now. [00:04:19] Patrick: Same here. You said you were working on a car forum then. It’s funny because whatever brands that I might work with or how were am I progress in my career, whatever my job title is, I don’t know if you feel the same way working at different companies, I often go back to those moments of when I was managing a forum on some topic 10, 15, this is my 20th year in community, so 20 years ago. The lessons I learned then just in managing a community myself when I had to do something myself with no budget, no resources when I had to deal with that personality conflict or this disruptive force in the community. A lot of the stuff that we do even had a high, big company level, I always find it relates closely back to the stuff that I was doing when I was managing forums 10-15 years ago. [00:05:10] Jean-Yves: Yes, it’s very helpful and it’s all grows out of passion. I’ve learnt the most forum where people were really passionate, even if I wasn’t really into it at the beginning, because there is a lot of subject over the 10 years of my career, it’s really, really, really interesting to see how those forces or those struggles in the community are helping the online presence and the offline presence too, to grow and to build a great group of people that really bond together around a topic. For me, it’s really important to see that people that never clicked together, like maybe 13 years ago when the forum was not there or when the social media was not there. Those people they never had a chance to meet and all this meeting that we are enabled, where the community business are the reason of my passion about this job. It’s like setting the rules, setting the moments, catching the good light and making people build amazing things together, it’s a cool job to do I think. [00:06:28] Patrick: Let’s talk about community management in Europe. I’m always kind of really interested to hear about the industry as it exists in places that I don’t know, which is frankly in most of the world, that’s not the United States. You’ve got that vantage point because you’ve seen and worked in and around Europe. You’ve moved around a bit. You, you’re back in France now and for some time in the UK. You told me before the show that you’ve got the feeling that the community manager role in Europe is set up never to exceed the capacity of the country. What do you mean by that? [00:06:57] Jean-Yves: Basically, I’ve worked for US-based company named Houzz. I don’t know if you know it, I think you do. It’s this big interior designer platform, which is like interior design pond. It’s a greatest when you want to change your apartments, when you want to have a remodel, when you want the renovation. The idea was to launch. I was– across Europe, I was first in charge of the community management and social media management for France, which is my native language market. I had to move in London to do this job and gather with all the European team to launch Houzz internationally. The last year I focused on social media, on international social media management I was quite the social media guy. When you’ve got any question about new features or I was here just to help everybody, every country to grow out. It was a lot of country because we launched 14 countries in three years. I had the chance to see international problematics and the difference between countries in the social media industries and the community too. I’ve seen–I had a wonderful team. Now, I work with amazing community manager across the world and I had insights from Russia, from Germany, from Spain, Italy and all of that. All of that was quite a confirmation of what I’ve sought before. Sometimes you’re just totally amazed by the market and by the way that people take to community and make the conversation across the platform. Basically, I think that it’s really important to understand that the numbers of conversation you have in a country, it’s strictly depending on the number of the people who speak your language. That’s total evidence. You can say I’ve got people in the Nordics, they talk less because at the end of the day, there are less people talking in Swedish then you have like English or Spanish people talking. That was the meaning of my work, was that just like don’t expect people to overperform. You just got to scale your efforts and maybe you can try to scale it just based on your US experience. [00:09:41] Patrick: Let’s stop for a moment to talk about one of our great sponsors, Structure3C. Structure3C helps large organizations unlock the full value of community. Founded by Bill Johnston and staffed by a network of experienced community builders from the public and private sectors, Structure3C helps clients transform existing programs, launch new communities, and develop forward-looking strategies for community-based growth and innovation. Schedule a free initial conversation at structure3c.com. Do you feel like that language issue is something that hurts your PN community pros in advancing their career as opposed to, say, the US in your view? [00:10:28] Jean-Yves: Well, for me, it’s not an issue. It’s just like a great opportunity because at the end of the day, we got all this language and cultural differences. It’s great opportunities to use that. I think it’s really important for any company to understand that when you try to go in another market, you’ve got to give some keys and to have some adaptation to that specific market. You don’t have to over-adapt, but language is the critical part. If you’re, let’s say if you’re an US company and you want to go over Europe, you have to address this language, not issue, but this language question with a great care. You cannot really Google translate or you get really to adapt to be ear and to be already consistent about the quality of the language you use. Let’s say if you consider a language like Spanish. With the Spanish, you can work with skilled Spanish or South American people to reach huge portion of the world. In Europe, you can pick market, you can choose and you can reach. You can have formed and really, really skilled people in every country. Why not try that? For me, it’s a small opportunity than break. You still get to do that for this seriously. To be serious, in some case, to try to reach people in the country to make the job. [00:12:14] Patrick: You also said that what you see is that in Europe that the community manager will be included in the marketing or communications team, but rarely have the chance to grow in the organization as he or she chooses to become more quality-focused or business-oriented, and that the role seems to stay junior before people shift to social media, as you did, or to a broader, more strategic location. What we’re talking about with the languages, why do you think that impacts community manager in a role that it doesn’t impact social media? Why is social media the role to go to advance do you think? [00:12:45] Jean-Yves: This point, it’s really, really French point. The real difference between a skilled UK-community manager and a French community manager in most of the case is that when you deal in English, and you are like really, really good or great with UK or US community, you can just use your natural language to get more people on board. In France, the role community management and the job title, community manager, it’s really, really, really junior title. You’ve got few senior community managers, but community manager, it’s really about execution and social media manager become a title about strategy. You’ve lost some English title in French are translated and we’ve gotten name for the role, totally translation of that. That’s community management and social media management was never, never translated. We’ve got some try, but it never took off. Community manager now, it’s much more about intern or really junior role. All the junior will start–will make maybe two years of community management. They want to become much more about strategy and they want to evolve in much more commercial role. They don’t really stay in the day to day community operation. In French nowadays, they want to evolve in much more strategy concentrating position. [00:14:32] Patrick: I find it fascinating how much of it is based in language. The language you speak, your native language, the language you’re born into, how impactful that is. I mean, in any number of things, but also specifically for our show in this career path of community. Feel free to correct me if I’m wrong, but the way I’m hearing this and one of the ways that I think it could be taken is, you’re born in France. French is your native language and because less people speak that language than, say, if you were born in Britain and you speak English, and where people essentially speak English. You come up as a community pro in French speaking communities versus English speaking communities, there’re less people. The communities are smaller that you serve, so the opportunity is much smaller. Is part of what the conversation; is that part of what you’re saying? [00:15:19] Jean-Yves: Yes, I think French-speaking market it’s for the moment really focused on France. We don’t really want to grow or maybe some startups have the occasion to grow on other French-speaking markets. When you start a company in France, the way you understand community or social media in France, it’s really, really country based. You just project that to community will be like 60 million, 65 million people would be into that range of–because I can understand your message and that can join the community. In fact, we’ve seen that the most successful company coming from France are just continually bigger than that. Our originally translated in many, many language at the beginning. Of course, English and UK, and US market first. [00:16:13] Patrick: It’s interesting how social media sort of takes the precedent there. I guess, and maybe it’s just like you said. I think one thing you said kind of translation. It’s just how the terms were used. Maybe there’s difference on how those were approached in different regions in the world. How have your community and social media in the US, and maybe project that on the world, is different from how a people or professionals in France see it, social media versus community. Then project that out. [00:16:39] Jean-Yves: What’s really interesting, it’s in France community manager and the community manager revolution really began when Facebook took off. Before that, there was hardware, some media companies and of course video games, who were in the community business. They were just talking to customers in online forum or collaborative platforms. First, we had some insights with the Myspace phenomenon. Myspace was really important in France for all the music platform and for all the music labels in France. When Facebook decided to launch Facebook Pages, that’s when it really started to be a question for all the brands. Should we be on Facebook or not? Who should be doing that? That’s when the community manager role took off in France. [00:17:36] Patrick: Let’s take a moment to talk about our excellent sponsor, Higher Logic. Higher Logic is the community platform for community managers with over 25 million engaged users in more than 200,000 communities. Organizations worldwide use Higher Logic to bring like-minded people together by giving their community a home where they can meet, share ideas and stay connected. The platform’s granular permissions and powerful tools, including automated workflows and consolidated email digests, empower users to create their own interest-based communities, schedule and manage events, and participate in volunteer and mentoring programs. Tap into the power your community can generate for you. Higher Logic, all together. Before Facebook, I mean, brand engagement in France between brands and their customers online sort of a public way was, from what you’re saying, pretty much non-existent? [00:18:21] Jean-Yves: There was plenty of ways to engage brands. So there was blogs, Facebook, RSS. We’ve got some really cool brands and really cool social net vibes, it was the web 2.0 era. Of course, everybody was about engaging brands, but Facebook is really the platform solution that’s changed the market in favor for everybody, I think. I’m speaking for French, for France. [00:18:52] Patrick: The whole country, you’re the representative for France on Community Signal. We count on you. It really is the profession, I guess that I get to listen more carefully. The profession as far as like having someone who actually does this full-time really came into play once Facebook launched in France. [00:19:08] Jean-Yves: Yes. Beforehand, there was people in some industry that was in charge of that and a lot of question, but maybe like in Paris when you try to launch a community manager meet up, there was 10 people showing up. After Facebook, 30 people and then 100 people, and then you got all the marketing students, that were focusing on what is the social media era. Facebook really, really changed the game. I think that this company is still positive on what we can do, what we should do, and what we should focus on the next year to come. [00:19:51] Patrick: I know you don’t do much work in Facebook groups right now, but you’ve said something in the previous question. I wanted to kind of ask you to expand on it. You had mentioned that Facebook groups often fall short when it comes to identifying the value of the businesses to actually take the time to run one and invest in one. Instead, what you end up with is “a business that sells online formation for your targeted group.” Talk about that a little bit. What does that mean? You’re selling online formation for your targeted group. I’d love to hear more about it. [00:20:20] Jean-Yves: I think what’s really interesting to the massive major shift I’ve seen in groups is the opportunity to gather people with the same interest. It’s really plain, but really want to get into a marketing or selling something using the group’s tool, maybe you should perhaps think of your product and design your product to do it this way before you start the group about that. I’ve seen a lot of media launching a subgroup, which really looked like subreddits. Maybe literature lovers read this kind of newspaper and I don’t see it’s really appropriate. I don’t see the ROI of that. The people that I met and take the most of the group are much more about focused on needs of the group members. In our industry, you’ve get the community manager summit and a lot of formation for community manager across the world. That’s the best way. You’re just…we really want to talk with you about the place you work and we spend a lot of time working in Facebook. We really have these great tools, these really great content that can help you change your day to day compression of the business, of your tools. I think it’s, for me, just no-brainer that you can sell something to community manager or social media manager using social media tools. You really got to design that if you want to reach other like-minded people. Go to design your product before you launch your group. Is that clear? [00:22:25] Patrick: I think what I take away from that, and again let me know if I read this wrong, is when you rely on Facebook groups as opposed to something where someone has to come to your website and engage in some way, you run the risk where the product isn’t your product. Instead, the product is the generic topic of the community. People come to the community and don’t necessarily– When we’re talking about a business case, again, because them coming to talk with one another is great, but the business case, if they’re just there to talk about, I don’t know. If you make toys and they don’t care about your toys, they want to talk about the toy industry or other toys, then the business case for you to pay someone to run that is less clear than it would be in an area where they specifically were visiting because they knew your product, you have a product, they love that product, and they want to talk about that product. Am I on the right track? [00:23:15] Jean-Yves: Yes. You wanted them to go clearly to your product. You don’t want to fool around. [00:23:21] Patrick: Yes. Facebook is full of distractions. [00:23:23] Jean-Yves: I’ve seen some really successful Facebook group in France that cannot find a way to monetize. The only way they found an exit, one of them was about music. Everybody was, daily sharing their favorite tunes and what they were all listening at. The thing is, it was really great and it was much more…one million community pages. You know it’s really important. When you start that, you’ve got to get into it and you get to spend a part of your life working on that community, but it never succeeded to be a business. I may add that era has totally ended. I don’t see the point. Just like when you start something with your company and when you start something as a business, you want to have a clear exit and a clear strategy, and a clear goal. Sometimes you can just fish with a really big fish net and try to have as many people as you can around the needs or around the conversation, but sometimes it’s not the end of the day. You need to be specific and you need to be on point, and to nail it. I’ve seen a lot of community manager, junior, who were beginning a business with really, really great converting or great exposition content because no cuts or viral video will always work. At the end of the day, you cannot really monetize. You don’t have an explanation for your brand or for your activity. It’s not really a path that I would recommend. [00:25:20] Patrick: I’m with you. I use Facebook groups for my day job, because that’s just where we are right now. It’s not necessarily where we want to be forever. I was just looking at one of our groups as you were talking and thinking about just the amount of nonsense on the page that has nothing to do with our group. I look at my page here. I see there’s games that I’ve never played up top that my friends are apparently playing. Then, there’s my games that once played years ago and there’s a spot for that. Then, of course, there’s a list of contexts that are online. I scroll down and I get rentals, property house rentals, I bet I may like in my area. I can rent a house. Then there are suggested groups, other groups I could join right now to leave this that I’m in, in other words the one that I manage. There’s five different groups, then there’s two recommendations for things to buy like Craigslist nearby. I can buy a PlayStation controller, I can buy a couch for $110 apparently a mile [laughs] down the block. There’s just so much going on here that is not about the business community that I’m managing and it underscores that point. [00:26:20] Jean-Yves: That’s really a certain thing. You got a new illusion of control when you’re a community manager or social media manager, or just when you’re eyeing up for group. You’ve got the illusion that everything you post, it’s somewhere and that your user will read all the posts. Post one, post two, post three and that all your content will be just disposed and displayed for your user as the timeline. The fact is the timeline that Facebook displays, it’s totally broken or is totally out of control for you. You can be displayed with your competitors or your competitors sometimes can buy in your page or can target some groups, not all of them. I totally get the feeling of awareness when you’re as you are, [laughs] just looking at the timeline and saying, “Where’s the new post? Where is the–” I totally get that. [00:27:22] Patrick: You mentioned briefly there’s community manager groups online. Obviously, there are. Is there a French-based one that you use, like recommend a group of community pros that meet or even online that’s focused on people in France? [00:27:33] Jean-Yves: Yes. I see the winner in that category. It’s Journal du Community Manager. It used to be one other group that was really active and was named My Community Manager. The thing is in the community management or social media management, the most active groups always wins [laughs]. When all that crazy boom started in France, I was really critical about some groups and I was reading the questions and answer of groups, but people are really beginners. Sometimes they share tips. I was really judgmental at the beginning, maybe even in 2010, I was [laughs] still a little bit harsh with that. At the beginning of the day in the community and social media management business, activity always wins. The best group today is Journal du Community Manager. It’s got a lot of subgroups, and if you are just looking for a job, it’s maybe something else. I really appreciate it when I’ve got to search and to find from new people to reach out and new French content. [00:28:58] Patrick: The last thing I wanted to ask you about, I wanted to hear about your community origin story. When I asked you how you first stumbled into online community in this kind of work, you said that it was through an online comic building tool. [00:29:12] Patrick: You were, in your own words, the angriest and [laughs] perhaps one of the most active members, too. Why were you so angry? Tell me the story. [00:29:19] Jean-Yves: Basically, I was working in 2004 in the publishing business. I was working in a huge publishing company in France. We were proofreading the manuscript. People were sending us using the post office, pages and pages of novels, essays. There were hopes and a lot of content, and a lot of words in all of that. In our internship, in a full year, we have 14,000 manuscripts to check, okay? [00:29:58] Jean-Yves: In this 14,000 manuscripts, there was one manuscript that was published. [00:30:06] Jean-Yves: This internship was really absurd for me. I was a blogger from the internet, to get to browse and to have information, to have…to access knowledge. I just realized that you can write on the internet, on Wikipedia sub-forums. You can create things too. I was really frustrated with all of that. I had one question. It’s, where will go all this text? When you published one book and you just throw away 14,000, where are all the people who want to express themselves? Where will they go? I realized then that they will go online and they will speak together. [00:30:54] Patrick: Why were you angry? Because of all the text and you wanted somewhere for it to go? [laughs] Is that where the anger was? [00:30:59] Jean-Yves: Yes, because my job was to make that text exist. [00:31:05] Patrick: Got you. You were angry that so little got published? [00:31:10] Patrick: You would see good stuff come in and you’re like, or you would know about good stuff and it wouldn’t come out, because there were so few things being published. There needs to be another medium for people to share these things, so they’re not just lost. [00:31:20] Jean-Yves: Then I realized they will go there and my anger will come out. I was just really angry during all the process. I realized that all the text that is produced will exist online and all the expression of the feelings or these people will find a way. Maybe I should focus on this way and this opportunity that I identified by expressing my feelings. I totally let go my anger and tried to be much more productive and much more about caring. At the beginning of the day, I was just like caring about what other people said. I think it’s one of the traits. It’s really important for community manager or social media manager to be social and to have this, okay, what does he say? What is his needs? Then I realized that maybe it was even much more useful to have this tool that’s used, that we can share. We can share our voices, we can share images, we can share videos, we can share a lot more than just focus on the novels and on these tools. I just realized that. I just shift my attitude to be the angriest and much more rather negative and try to be collaborative and to listen more than I speak. I don’t speak a lot about community and social media business. I’ve tried to teach a little bit and to have some students about that. I love to have interns. I’m not so much the angriest guy anymore. [00:33:12] Patrick: Awesome, Jean. Thank you so much for taking the time to chat with us today. I really have enjoyed the conversation. I feel like I know France a lot better and [laughs] Europe a lot better for that matter. I really appreciate you sharing your knowledge with us today. [00:33:24] Jean-Yves: Thank you. If you want to just dig deeper and deeper into one subject, I’ll always be here. Or, if you want to interview some other great community manager from all around the world, I’ve got all my address book open for you. [00:33:42] Patrick: We’ve been talking with Jean-Yves Lemesle, connect with Jean-Yves on LinkedIn at linkedin.com/jyvlmsl. Visit his Facebook page at facebook.com/socialmediacommunitytime and follow him on Twitter @jyv. For the transcript from this episode plus highlights and links that we mentioned, please visit communitysignal.com. Community Signal is produced by Karn Broad and Carol Benovic-Bradley is our editorial lead. Thanks for listening.